One little problem with blogging about nail polish is that I don’t like to show the same manicure twice, or review a polish multiple times. But I am also a girl who likes to wear nail polish. I don’t buy nail polish just to wear it once, write about it and then move on to the next one. I buy polish to wear it! So while I don’t always show it on here, I do wear a lot of polish multiple times, I just don’t showcase it here! I do try to show it on my Instagram, and if you want to follow me my user name is MissHollyBerries. 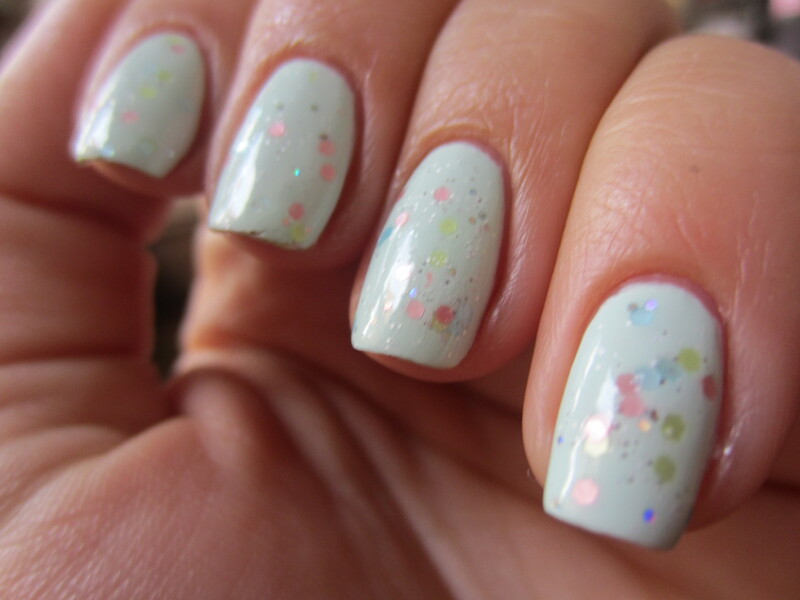 But here are pictures of my manicures this weekend! And yes, I do change my nail polish almost every day! Hope you enjoy this manicure spam! To read about formulas, see swatches of the nail polishes on their own, or to here my thoughts on each one, just click on the names of each polish below the picture and it will take you to my original post on each polish! Water Color nails. These didn’t turn out as well as the ones in the original post. 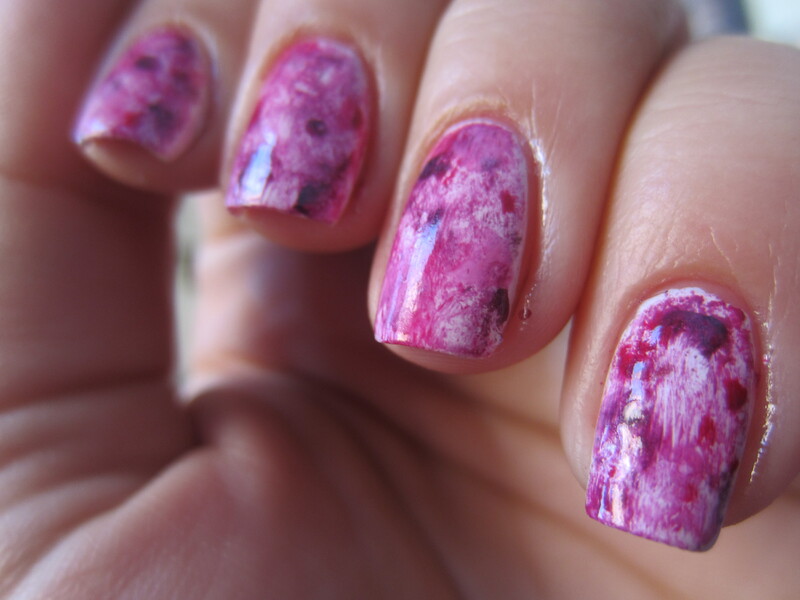 To see how to do Watercolor nails, then go here! 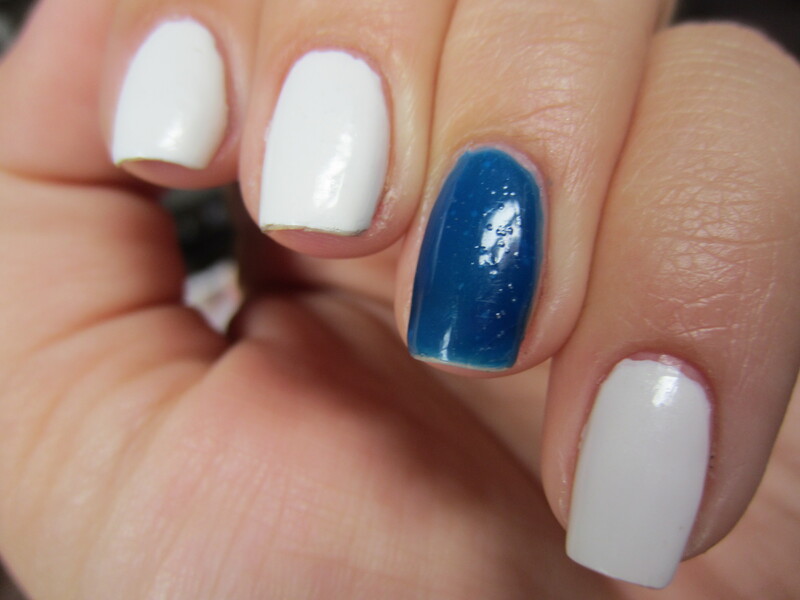 What do you guys think of these manicures? Which one is your favorite? I hope you guys liked this post! Please let me know if you want to see more posts like this?? thanks! i didn’t write this in the post but i first tried let them eat cake over a white so i didn’t notice that let them eat cake actually has white flakes in it! almost like dandruff lol if that analogy doesn’t gross you out. layering it over susie was the first time i noticed how complex that polish is! very true! i can’t even complain about this polish. and its a little cheaper than other indie brands. is it just me or are indie polishes really expensive? Loooove Let Them Eat Cake! So pretty! thanks! do you have many indie brands? any you would suggest?